Wednesday, March 5, 2008, 7:30 p.m. in the Haub Conference Center in McShain Hall. For many, the State of Israel stands at the center of how the Jewish people perceive themselves – both as individuals and as a collective group. Saint Joseph’s University’s Jewish-Catholic Institute will host an interfaith dialogue to explore Jewish identity with the Biblical promised land. The evening’s speakers are Rabbi Eugene Korn, Ph.D., executive director of the Center for Christian-Jewish Understanding at Sacred Heart University, and Eugene J. Fisher, Ph.D., associate director emeritus of the Secretariat for Ecumenical and Interreligious Affairs of the National Conference of Catholic Bishops in charge of Catholic-Jewish relations. The idea for the programming came from the Israeli Consulate General’s Office in Philadelphia, who contacted Donald Clifford, S.J., director of the Jewish-Catholic Institute, to suggest cooperating in a program that would commemorate the 60th anniversary of the founding of the State of Israel. “The issues raised by this interreligious dialogue take on special resonance this year, which is the 60th anniversary of the State of Israel,” said Fr. Clifford. “Both of our speakers possess a unique understanding of the common spiritual heritage between Christianity and Judaism. The discussion will focus on how the existence of the State of Israel and the return of the Jewish people to their homeland can be viewed as a strengthening of Christian sacred history and the Jewish covenant on which the Christian faith rests. Dr. Fisher is considered the dean of Catholic scholars now active in the field of Jewish-Christian relations. In 1981, Pope John Paul II appointed him consultor to the Vatican Commission for Religious Relations with the Jews. He has represented the Holy See at numerous international conferences over the last 30 years. 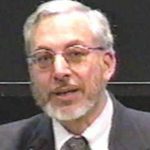 Rabbi Korn has written widely on Israel, Jewish thought and interfaith relations. Most recently, he is the author of The Jewish Connection to Israel, the Promised Land – A Brief Introduction for Christians. 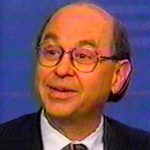 He was previously director of Interfaith Affairs for the Anti-Defamation League and the American Jewish Congress.